Three new items found in ‘Preferences’ have been designed to remove mundane workflow tasks. So too, the new functionality found in the ‘Move’ commands. 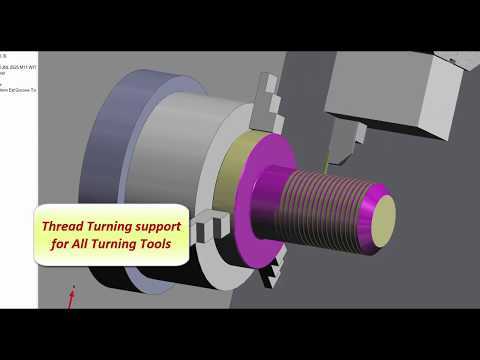 A popular customer request is to support the ability to deploy the Thread Turning cycle with any Turning Tool. Also, users who deliberately overpopulate the turret positions, require machine simulator support when the same position is used for dis-similar tools. 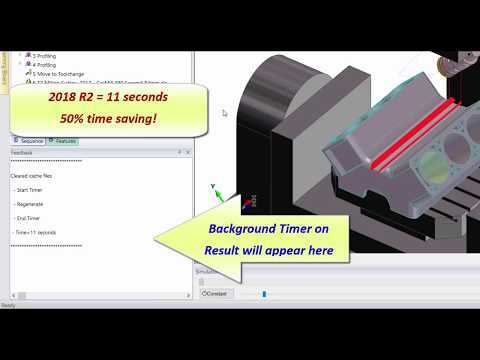 Edgecam 2018 R2 transforms the Tombstone Manager with no fewer than thirteen enhancements. As well as a significant performance boost, the re-designed Tombstone interface allows users to protect the Seed file and perform multiple alterations to the inserted parts files. The original file limitation for inserted parts has been removed plus, assembly part files and files from different postprocessors can be used. 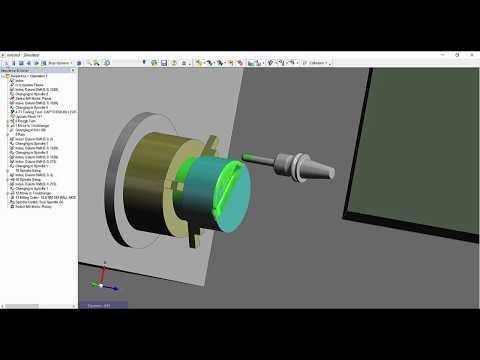 Edgecam 2018 R2 now un-locks the ability to deploy workflow strategies where ordinarily a feature could not be created, by converting line and arc data into a solid Feature. 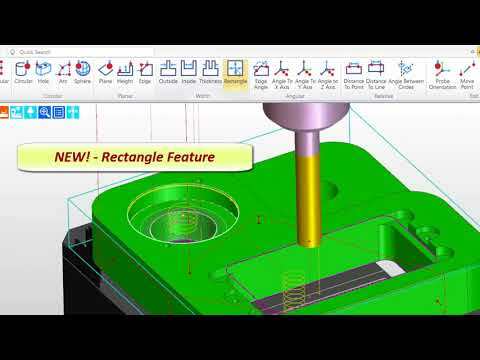 Once machined the new feature can be edited and the toolpath will remain associative. 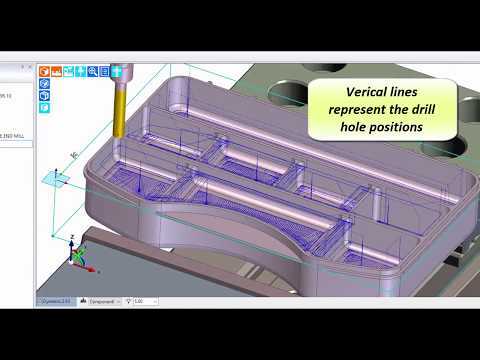 Edgecam 2018 R2 will automatically create the hole position when using the ‘Pre-Drill’ approach strategy in the Roughing cycle. Simply by activating the command, users can deploy the multi-level and depth functions within a hole cycle, to automatically locate the best entry position for the drill cycle. Edgecam 2018 R2 introduces fourteen new enhancements including full postprocessor support from with the Code Wizard. 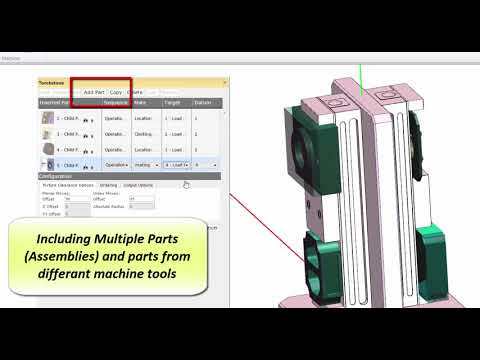 Major items include the introduction of NC Gateway, software which communicates with the machine tool, plus, “Best Fit” and “Tool Length” calculations allowing invaluable manufacturing feedback. The Thread Mill cycle has been enhanced to allow closer toolpath control and greater flexibility. 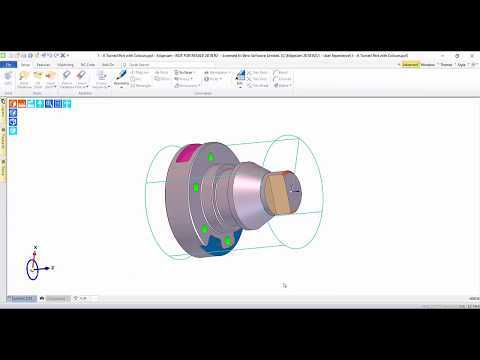 Five new parameters allow users to deploy ‘peck’ and ‘multi-pass’ toolpaths. 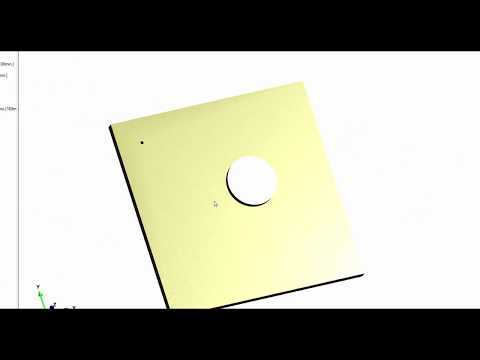 This will especially help when machining hard materials or when a better surface finish is required. Helical support is now available in the Profiling cycle when a user wishes to deploy Multi-Pass options. 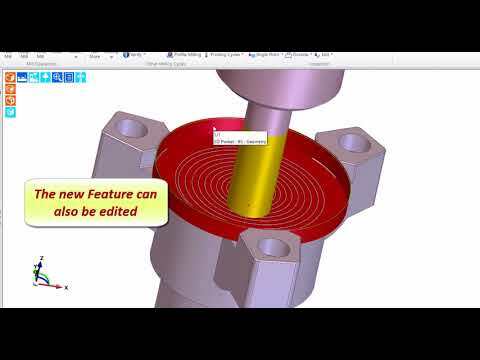 As well as adding twenty-eight new Wire EDM technology databases, Edgecam 2018 R2 introduces further enhancements connected to stock representation in the machine simulator. The ‘start hole’ will be automatically created, and, where a destruction strategy is selected, the stock is offset by the value stated within the cycle. 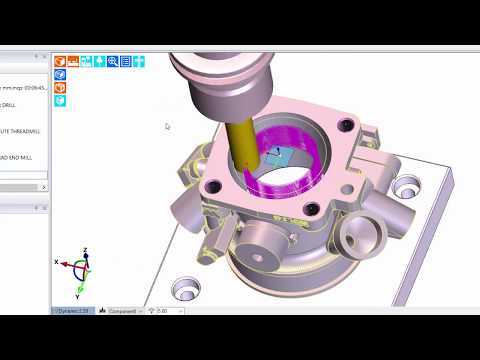 3D milling cycles have now become available whilst in working Rotary mode. Formerly these cycles would be restricted to Planar mode only. In effect this enhancement offers greater flexibility by not only un-locking seven 3D milling cycles, which were normally unavailable, but, allows users to overcome machine tool limit issues. Through improvements in the toolpath algorithm, users will notice a significant performance boost when using the ‘Pick Solid Faces’ function. 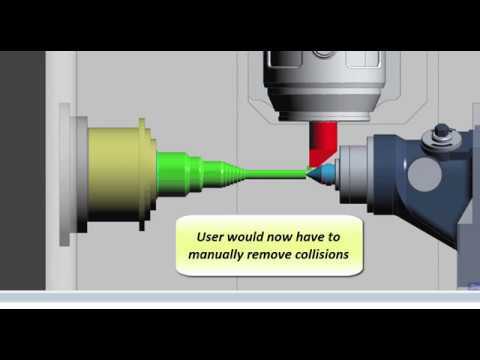 Time savings of over 50% can be achieved thanks to the manner in which the cycle gathers data for toolpath calculation. The Rough Turn cycle is now capable of rolling in and out of each lead movement cut, with a tangential arc.